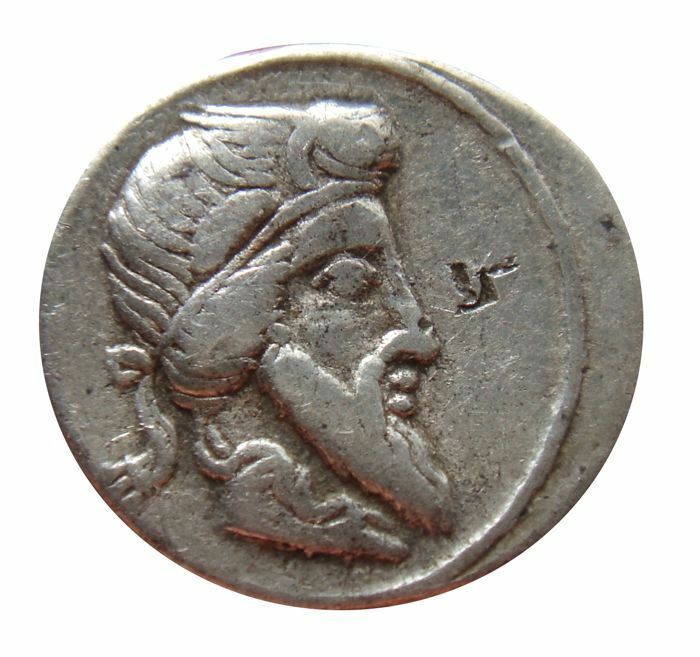 Q. Titius was one of the moneyers for the year 90 BC - he is not otherwise known. Gens Titia was a plebeian family in Rome. They are rarely mentioned in the Republican period, and did not rise from obscurity until a very late time. None of the members held the consulship until Marcus Titius in 31 BC. Titius seems to be a patronymic surname based on the praenomen Titus, which was presumably an ancestral name. It was a very common name amongst Romans, but it has been conjectured that it was introduced to Latin through Titus Tatius, a Sabine king in the time of Romulus, who came to Rome with many of his subjects. The Titii may therefore originally have been Sabines.